Greg Willems will become the president and CEO of KSU Foundation in Feb. 27. Greg Willems has been named president and chief executive officer of the KSU Foundation, Manhattan, effective Friday, February 27. Willems has held executive fundraising positions at the University of Hawai’i, University of British Columbia and Texas A&M. Prior to his development work, he worked in the corporate sector in the construction, finance and insurance industries. Most recently, Willems served as vice president of development for the University of Hawaiʻi Foundation, overseeing fundraising, campaigns and development operations. In that role he led them to record-breaking annual fundraising results and directed the planning and implementation for the next comprehensive, system-wide capital campaign for the University of Hawaii System. Prior to his position at the University of Hawaiʻi Foundation, Willems was the executive director of development at the University of British Columbia, where he served on the executive leadership team and helped launch a $1.5 billion campaign, the largest in Canadian history at the time. He also served as the senior director of development for the Texas A&M Foundation, where he provided leadership in the university’s successful $1.5 billion “One Spirit One Vision” campaign. 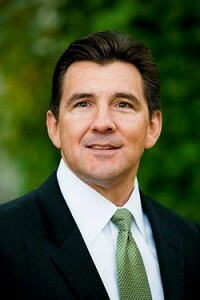 Willems earned a bachelor’s degree in management from Texas A&M University in 1988. He was named three times to Hawaii Business Magazine’s “Executives You Need To Know” list and served on the board of the Engineering Development Forum. Willems succeeds Fred Cholick, who served as president and CEO of the foundation since February 2010. During Cholick’s tenure, total philanthropic giving rose from $99.5 million in fiscal year 2011 to $211 million in fiscal year 2014. Cholick announced his plans to retire in July 2014.